Dr de Bono invented the term 'lateral thinking' in 1967. It was first written up in a book called "The Use of Lateral Thinking" (Jonathan Cape, London) - "New Think" (Basic Books, New York) - the two titles refer to the same book. For many years now this has been acknowledged in the Oxford English Dictionary which is the final arbiter of the English Language. There are several ways of defining lateral thinking, ranging from the technical to the illustrative. For example: "You cannot dig a hole in a different place by digging the same hole deeper" means that trying harder in the same direction may not be as useful as changing direction. Effort in the same direction (approach) will not necessarily succeed. - Idea generating tools that are designed to break current thinking patterns—routine patterns that are established by the status quo. - Focus tools that are designed to broaden where to search for new ideas. - Harvest tools that are designed to ensure more value is received from idea generating output. - Treatment tools that are designed to consider realistic implementation, constraints, resources, and support, etc. 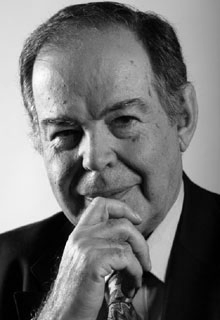 Dr Edward de Bono is widely regarded as the world's leading authority in the field of creative and conceptual thinking. He has authored over 60 books on the topic of thinking and his work has hugely influenced the teaching of thinking skills in education. His methods and techniques have also been used by sport, business and governments around the world. In 2005, Edward de Bono was voted one of the worlds top 20 thinkers. Dr de Bono’s thinking methods are being used all over the world, by government agencies, corporate clients, organizations and individuals. Schools from over 20 countries have included de Bono's thinking tools into their curriculum, and he has advised and lectured at board level with many of the world's leading corporations. De Bono thinking methods complement analytical and critical thinking and enable individuals, companies and teams solve tough problems and create new ideas, new products, new processes and new services. Developing breakthrough ideas does not have to be the result of luck or a shotgun effort. Edward de Bono's proven methods provide a deliberate, systematic process that will result in innovative thinking. Creative thinking is not a talent, it is a skill that can be learnt. It empowers people by adding strength to their natural abilities which improves teamwork, productivity and where appropriate - profit. Today, better quality and better service are essential, but they are not enough. Creativity and innovation are the only engines that will drive lasting, global success..